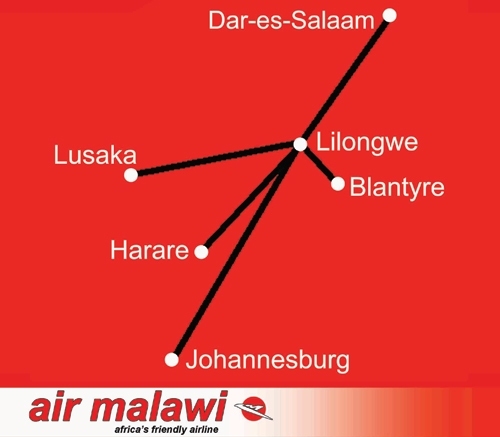 Malawi Airlines Limited (Blantyre) was launched on July 2 as the replacement flag carrier of Malawi replacing defunct Air Malawi (Blantyre). The new airline will be operated in partnership with investor Ethiopian Airlines (Addis Ababa). Malawi will have a 51 percent share in the new carrier and Ethiopian Airlines will hold the other 49 percent according to this report by Nyasa Times. Ethiopian Airlines will supply two aircraft for the new venture. 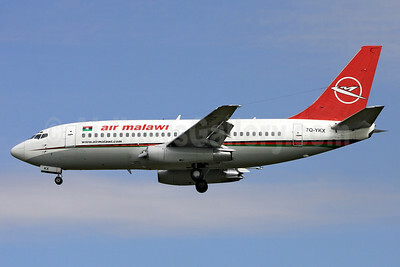 Air Malawi was placed into liquidation in November 2012. One grounded Boeing 737-300, one 737-500 and one ATR 42-300 are for sale by the receiver. Copyright Photo: Rainer Bexten/AirlinersGallery.com. Air Malawi was one of the last passenger operators of the Boeing 737-200. 737-2K9 7Q-YKX (msn 23405) is pictured arriving at Johannesburg. This entry was posted in Air Malawi, Malawi Airlines and tagged 23405, 737, 737200, 7372K9, 7QYKX, Air Malawi, aviation, Boeing, Boeing 737, Boeing 737200, JNB, Johannesburg, Malawi Airlines, transportation on July 4, 2013 by Bruce Drum.